Rae Sremmurd shared a new song "CLOSE" on Beats 1 today, featuring Travis Scott. 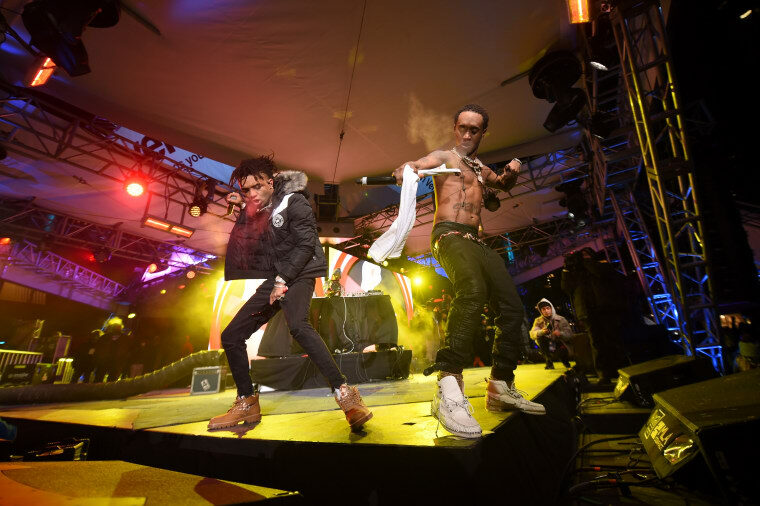 The show premiered on Zane Lowe's show, where Slim Jxmmi discussed the latest single from SremmLife3. "Travis Scott did his thing for sure man," Jxmmi said. "Swae Lee came through with the crazy meledies, then I came through with the crazy verse. 'CLOSE' is one of those songs, gave me like an 80's vibe you know what I'm saying." This is the latest in a string of singles from SremmLife3, the brothers' forthcoming triple album, which features their two solo projects and a third, combined album. The project still has no release date. Listen to "CLOSE" below.